Farrer Park, an icon of Singapore sports, will be returned to the state by mid-2020. Former national footballer Fandi Ahmad and former national swimmer Ang Peng Siong share their fond memories of the place. An icon of Singapore sport will soon be no more. By the end of next month, the Singapore Amateur Boxing Association (Saba) will vacate the gym at Farrer Park, its home for 50 years, to move into a space at the Bedok Sports Hall. The move is the first step in the eventual transformation of the Farrer Park fields - a hallowed ground for sports from the 1930s through to the 1980s - into a residential area. The plot sits between Dorset Road and Northumberland Road and is about 9ha, enough to squeeze 10 football pitches in. It is about five minutes' walk from Little India MRT Station. The land is leased to national sports agency Sport Singapore, and The Straits Times understands that SportSG has to return it to the state by the middle of 2020. All structures will have to be demolished by then, and this includes the decades-old boxing gym and Farrer Park Swimming Complex, which is currently leased to Ang Peng Siong's eponymous swim school, as well as eight tennis courts which are managed by SportSG. Ang's school will likely have to move out of the area by the end of next year. What to do? I have trained there since I was 20, and made friends with so many athletes from other sports there. But the value of the land is high. In response to queries, a SportSG spokesman confirmed Saba's move to Bedok, and said other national sports associations (NSAs) such as for wrestling, weightlifting and modern pentathlon would move into the venue as well. On Farrer Park, the spokesman said: "SportSG will be returning its land at Farrer Park to the state in due course for redevelopment." 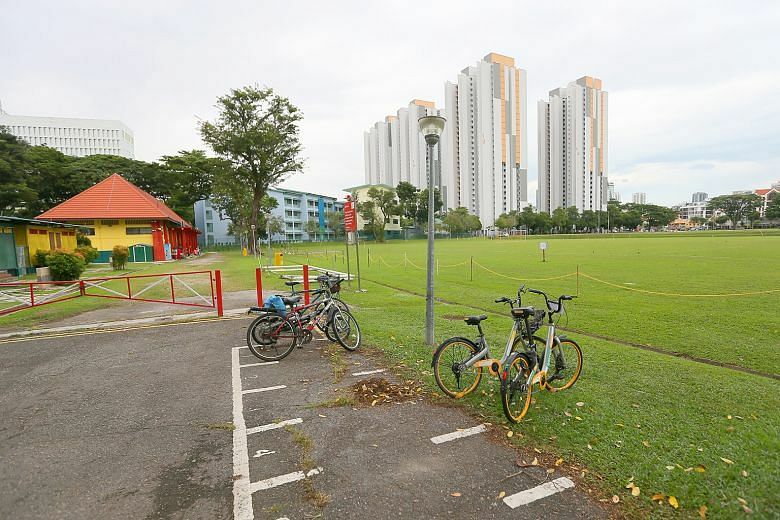 A check with the Urban Redevelopment Authority's Master Plan shows that the land on which the Farrer Park fields sit is slated for residential use. Saba president Syed Abdul Kadir, who had trained at the gym since it was officially opened by former minister of social affairs Othman Wok on Nov 30, 1968, said he was sad but resigned to the fact that Farrer Park would soon make way for new developments. Said the 70-year-old Kadir, who now coaches national boxers there: "What to do? I have trained there since I was 20, and made friends with so many athletes from other sports there. "But the value of the land is high. So, I think they will demolish everything and completely revamp the whole place." Property analyst Ku Swee Yong estimates the plot of leasehold land, which he said is normally 99 years, could be worth as much as $3 billion, if the land is divided into five parcels and all are sold to condominium developers. However, he said it is more likely that new housing in the area will be a mix of Housing Board flats and condominiums. The Farrer Park site was originally a racetrack established in 1842, and later became the Singapore Turf Club. When the Turf Club moved to Bukit Timah in 1933, the Farrer Park area morphed into Singapore's unofficial sporting hub. It was where the Sports House - a building where many NSA offices were situated - was located before it was razed by a fire in 1985. In 1956, the Farrer Park Athletic Centre was built and, a year later, the Farrer Park Swimming Complex was opened. This was where national sports icon Ang, the world's fastest swimmer in 1982, learnt how to swim under the supervision of his late father Ang Teck Bee, who worked there as a lifeguard. It was one of the reasons he decided to revive the pool - which was closed in 2003 - and base his APS Swim School there in 2004. He forked out over $60,000 to clean up and renovate the facility when he took over. He said: "We have put in a lot of money to salvage Farrer Park Swimming Complex for its sporting heritage." Ang, 55, has met officials from SportSG, who he said have given him several options for his swim school to relocate to. Ultimate frisbee enthusiast Enrique Lee said the impending closure of the Farrer Park fields was unfortunate. He said ultimate frisbee teams started playing in Farrer Park because they had lost their playing fields to redevelopment. "When we train on weekdays, a lot of players would be coming after work, so Farrer Park's location is ideal," said the 35-year-old. Ang pointed to the throngs of people who play football, rugby, cricket, ultimate frisbee and other sports on the Farrer Park fields on weekends, and said: "If you look at what is in the city area, this is probably the only facility that has sporting vibrancy."